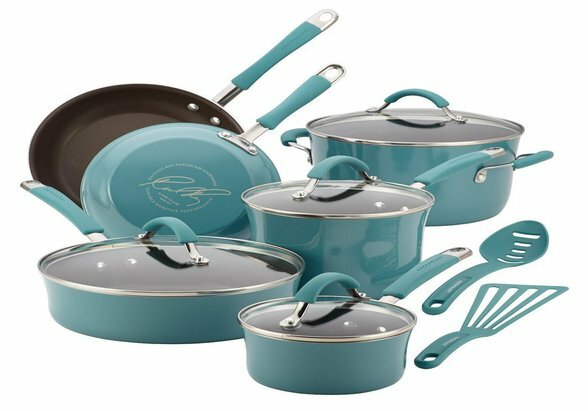 Pros: The actual best selling brand of all cookware sets is stainless steel, most other cookware materials like aluminum and copper do not have the special properties like stainless steel has, if you want a cookware set that is long lasting durable that resists scratches and corrosion then a good set of stainless steel pots and pans would be best for you. If you look after stainless steel you will always keep that shiny new look mirror finish that it should come with and it will add a special professional look to any kitchen no matter what your color scheme is. Stainless steel pans can for the most be bunged into the dishwasher ( always read the instructions). Stainless steel is really a mixture of several different metals, including nickel, chromium and molybdenum this is where the 18/10 and 18/8 ratio’s come from 18% chromium and the 10% and 8% nickel, safe ? 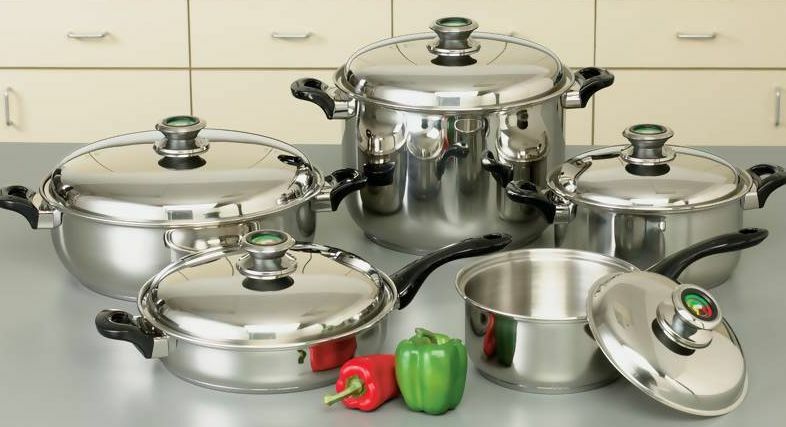 As safe as cookware sets come, there are arguments against every type of cookware that you have ever bought or ever likely to buy, with a real cheap set of stainless steel cookware you may get trickles of the materials dripping into your food, in reality your at more danger from the silver filings in your mouth if you have them. FDA’s Center for Food Safety and Applied Nutrition say “Cookware made properly of enamel-coated iron and steel is safe to cook with”. Cons: Some cheap versions of stainless steel like the made in China brands do not pass European and U. S. 18/10 tests which means they can be prone to rust and corrosion very quickly. 18/8 is also a common balance that passes all tests. 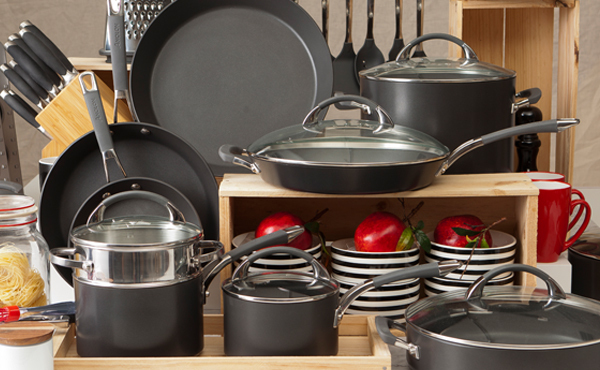 Some stainless steel sets will be harder to keep clean than the nonstick variety. If you have an old set of stainless steel pots and pans that have become scratched in the insides it’s best to get rid of them this is when you are at risk from bacteria’s like pathogens that can cause serious health risks. Pros: People who like to reduce the fat in their diets often opt for nonstick cookware, in the past there was major worries of the chemical perfluorooctanoic acid (PFOA) for short, but since 2001 the environmental protection agencies have since asked companies like Dupoint who make Teflon nonstick brands to remove PFOA you can read more on the pros and cons of nonstick brands here the bottom line is modern made nonstick brands get a health and safety pass mark for today’s cooks. Celebrity chef Ray Rachael’s nonstick brand gets rave reviews on Amazon. Cons: Teflon coated cookware usually comes with a warning that it’s not to be heated at more than 500 degrees, reason being there is the possibility of toxic fumes being released into your kitchen and food. The environmental working group say chemicals released from nonstick brands has been known to kill pet birds, as said earlier there is negatives to be had for every type of cookware. Porcelain is another nonstick brand, whilst PFOA is definitely not present in modern made porcelain ceramic cookware another chemical PTFE is present which again is harmful to birds and can cause flu like symptoms in people, when cooked at temperatures of 500 degrees. Considering we cook most things at 200 and 230 centigrade (392 and 446 °F) there is no need for fear. Porcelain again is easy to keep clean, but make sure you purchase a quality thick set from a reputable source, I recently bought a porcelain casserole dish from the supermarket and it halved down the middle after only a couple of uses, one set that gets a lot of positives is the Paula Dean Brand check out the article I wrote here, if you want to look over a decent brand.